The first BeeGroup meeting was well attended and I hope it met your expectations. It will continue to grow and mature, and we welcome your input. We have set up a website and encourage you to check it out at HVHives.com. The monthly BeeGroup meeting agendas will be archived on the website, along with any presentations or other material discussed during the meetings. It will also host a swarm call list and other beekeeping related news. "Spring has Sprung!" and swarm season will soon be upon us! 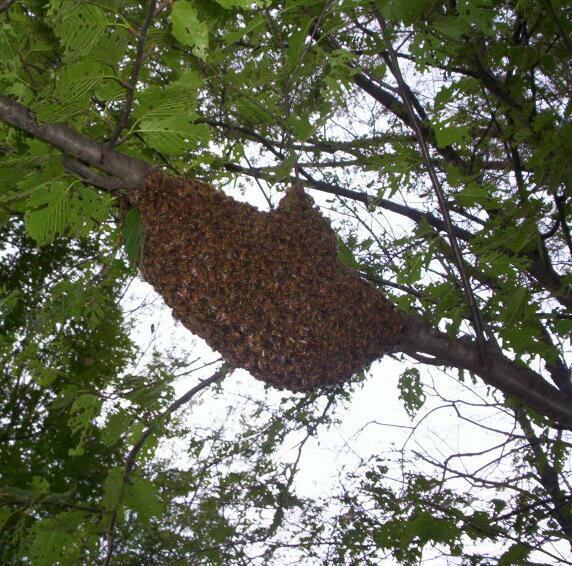 May's meeting will discuss ways to help you increase the hive count of your bee yard, cheaply. We will review the placement of swarm traps, baiting, and provide building plans for members to make their own box. In addition to swarm trapping we will have a discussion on spring splits to create a "nuc", also known as a nucleus colony. This will also help you reach your goal of increasing hive count while helping to discourage the swarming of your own bees. BeeGroup member Rich has shared a video of his hive inspection 21 days after installing them from a package. What a great looking hive! Excellent job Rich and thanks for sharing. Check out Rich's video -> HERE. Enjoy!